I swear when I first skimmed the email with info about a Vincent Price food event, I read “recipes from the cookbook for the 5 corpses.” When you read that name in the subject line, you are prone to scary, creepy thoughts, I reckon. 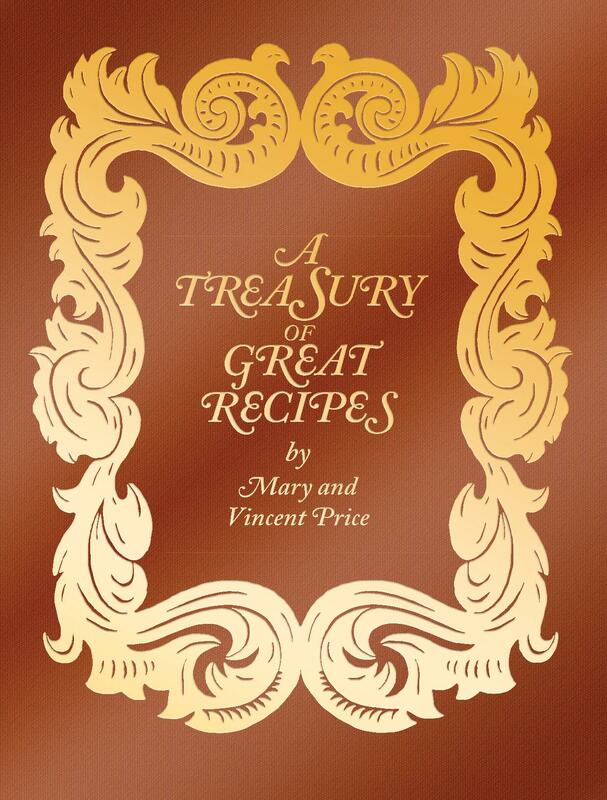 Just 3 weeks before Halloween 2015, Vincent’s daughter Victoria Price will be back in her dad’s hometown (STL), promoting the 50th anniversary re-release of A Treasury of Great Recipes, a cookbook by Mary and Vincent Price. The Vincent Price Tenacious Eats event is set for Saturday, October 10. Chef Liz Schuster will be whipping up recipes from the cookbook for the 5 courses. Each course (not corpse) is served with a creative cocktail. The film to be featured will be Theatre of Blood, starring Vincent Price. Victoria Price will be at the Tenacious Eats event and will have copies of the cookbook available for purchase. 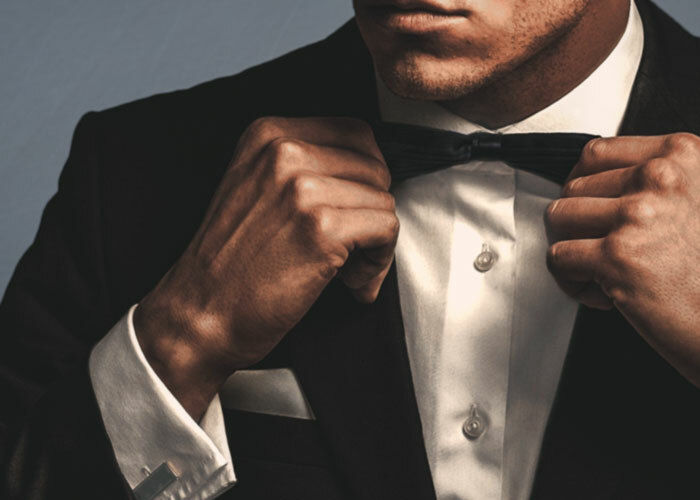 The book, which features a lengthy historical preface by Victoria and an introduction by Wolfgang Puck, contains recipes and menus ranging from haute cuisine at Europe’s finest restaurants to Dodger Stadium hot dogs. Cost of the book is $50. Victoria Price will be making other appearances in St. Louis during the weekend of October 9. Those will be announced soon. For more info about the book and Vincent Price, click HERE. To get you in the mood for the Tenacious Eats event and Halloween season, take a moment to listen to Vincent Price’s voiceover session for his work on Michael Jackson’s classic Thriller. In years past, my kids have returned from trick-or-treating with enough candy to last for weeks. If your kids get too much candy this Halloween, give some of it to the USO, via Noodles and Company. On Saturday and Sunday, November 1 and 2, St. Louis area Noodles and Company locations will trade a small noodle bowl for a donation of wrapped candy. This deal is just for kids, age 12 and under, accompanied by an adult. Kids are encouraged to wear their costumes if they wish. All candy donated will be passed along to the USO and distributed to U.S. military personnel. 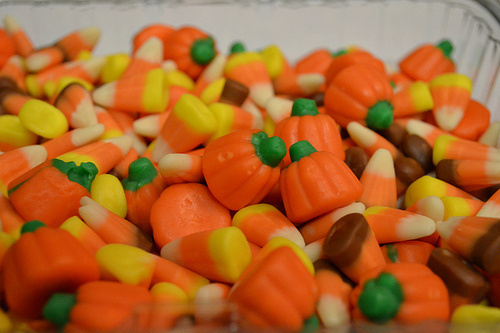 Suggested donation is a small bowl size of wrapped candy. Noodles and Company has 6 STL stores: Hampton Village, The Loop, South County, Creve Coeur, Des Peres and Chesterfield.